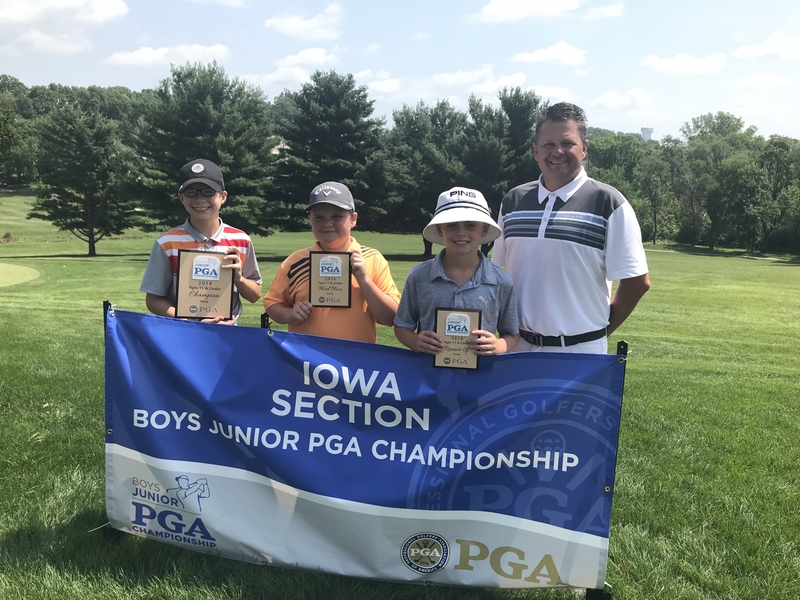 Indianola, Iowa--The Iowa PGA hosted the 43rd Iowa Boys Junior PGA Championship at the Indianola Country Club today. 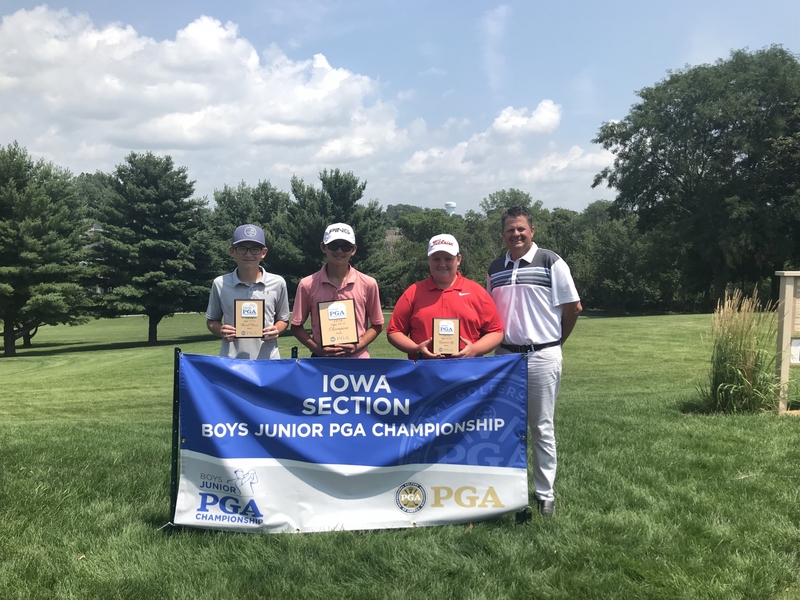 The top two boys in the 16-18 age division from the Iowa Section Championship will advance on to the 43rd Boys Junior PGA Championship. The championship will be hosted at the Valhalla Country Club in Louisville, Kentucky. 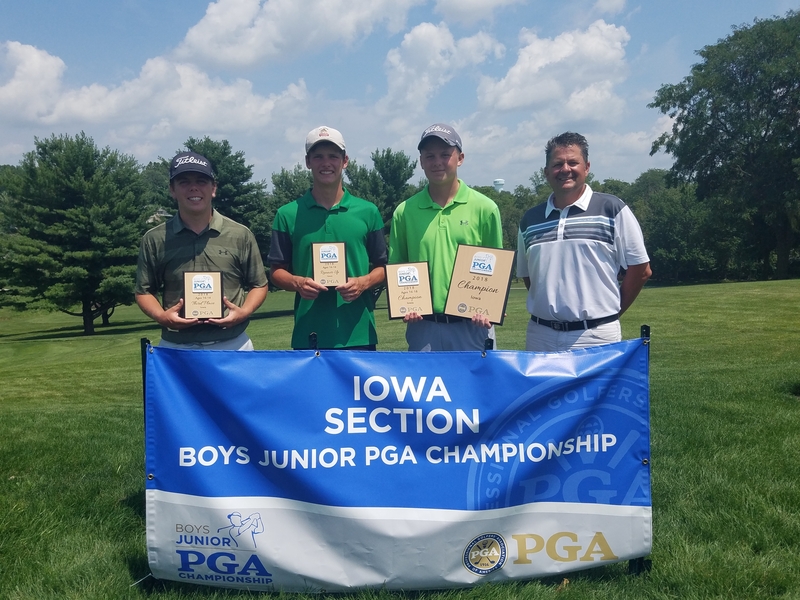 Brock Barnhart and Ryan Rochholz advanced to the 43rd Boys Junior PGA Championship. Barnhart finished in first place at the event, with a two-day total score of 2-over-par 144. Ryan Rochholz claimed the second automatic qualifying spot, on a long putt during the second playoff hole. Jack Moody was only one stroke ahead of Hogan Hansen, who finished in the second. Moody shot a 7-over-par 149 after two rounds, while Hansen earned a 8-over-par 150. Colin Schmit and Will Simpson tied for third place, each carded a 15-over-par 157. Maxwell Tjoa was ten-strokes ahead in the boys 12-13 age division to claim the first place spot. Tjoa shot a 3-over-par 145. Evan Smith carded a 13-over-par 155 in the division, only three strokes ahead of Jack Beecher. Beecher finished in third with a two-day score of 16-over-par 158 after two days. Ethan Blomme earned first place in the boys 11 & Under age division, shooting an 3-over-par 73 (nine holes). 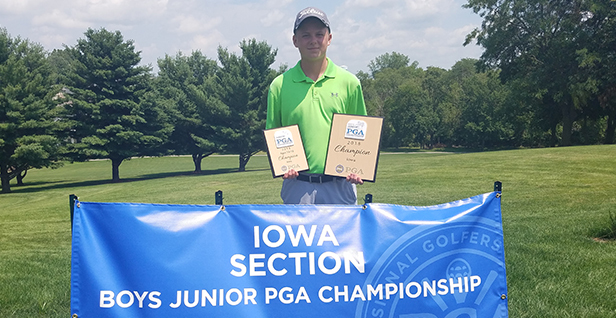 Isaiah Zoske was two strokes behind Blomme, earning a score of 5-over-par 75. 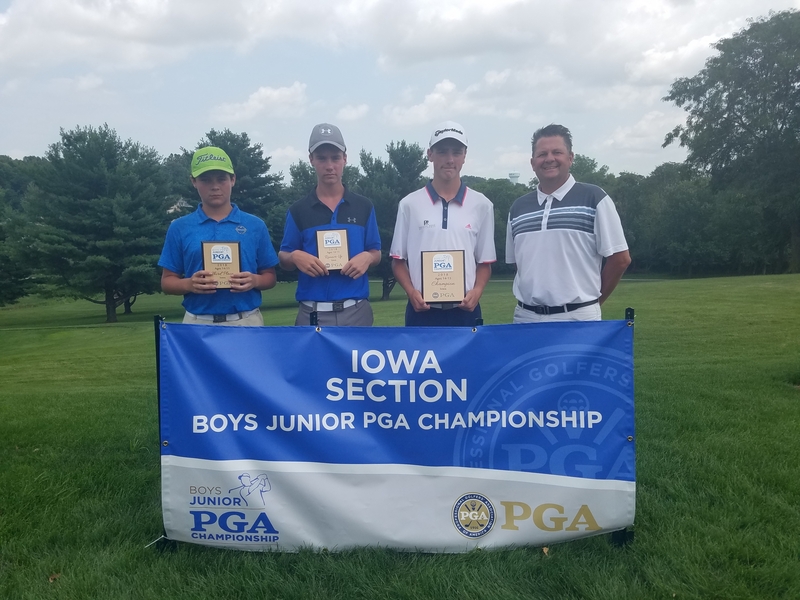 Bryson VanHoutte finished in third place, carding a 16-over-par 86. Special thanks to Jason Marvelli, head PGA Professional and the Indianola Country Club for their support in hosting.